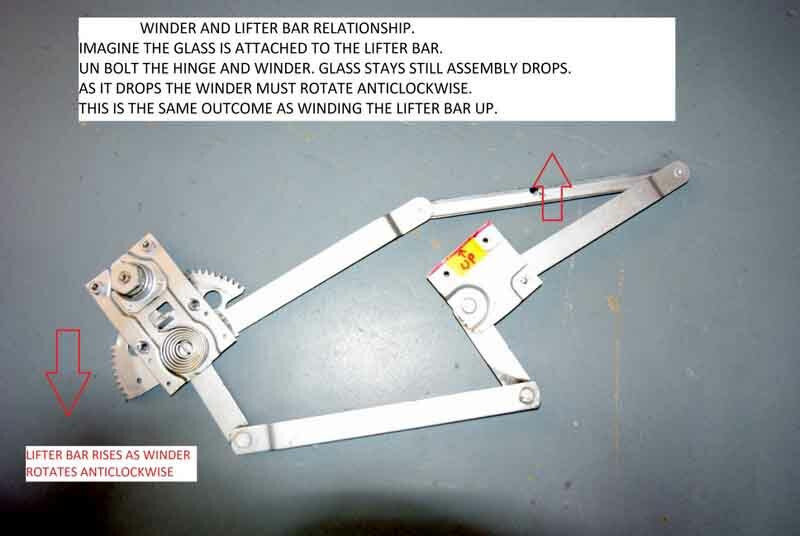 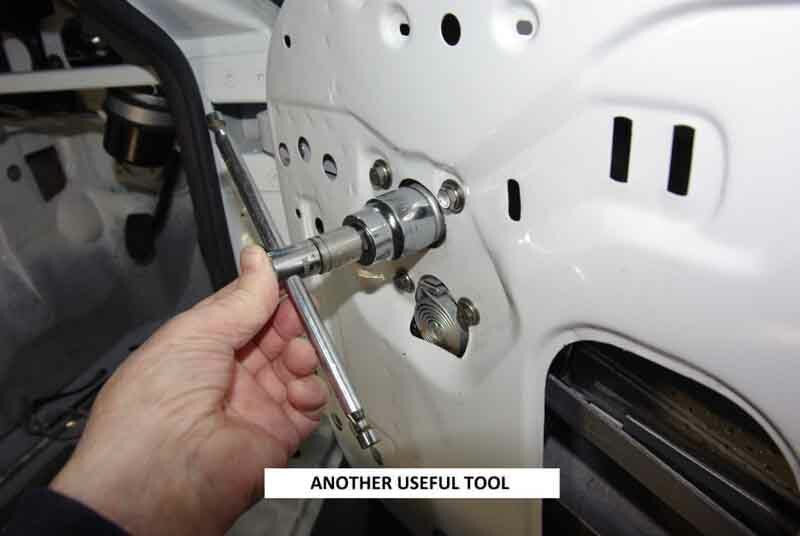 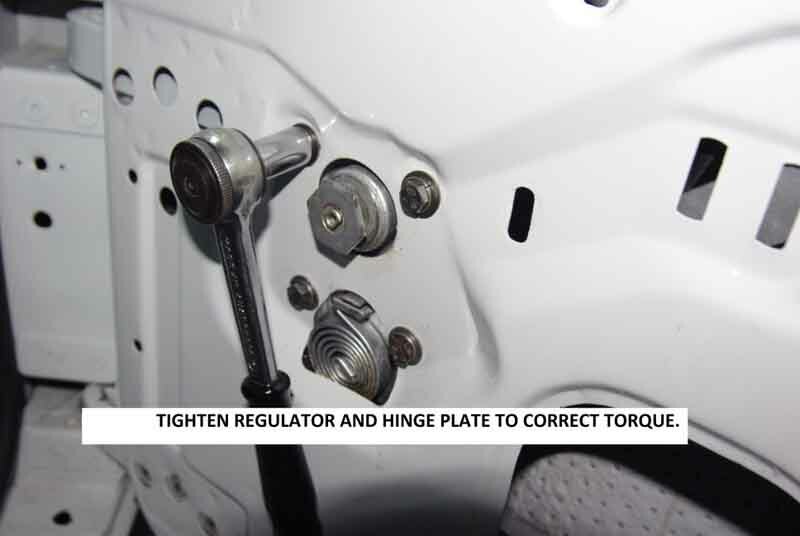 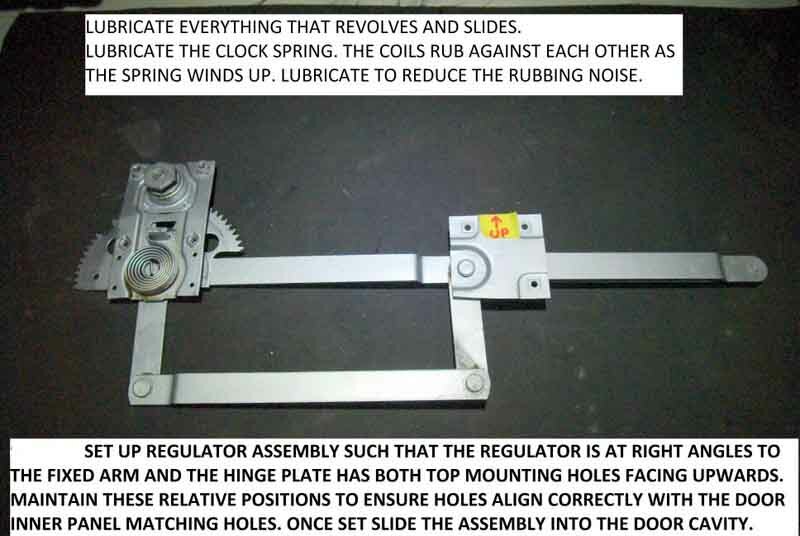 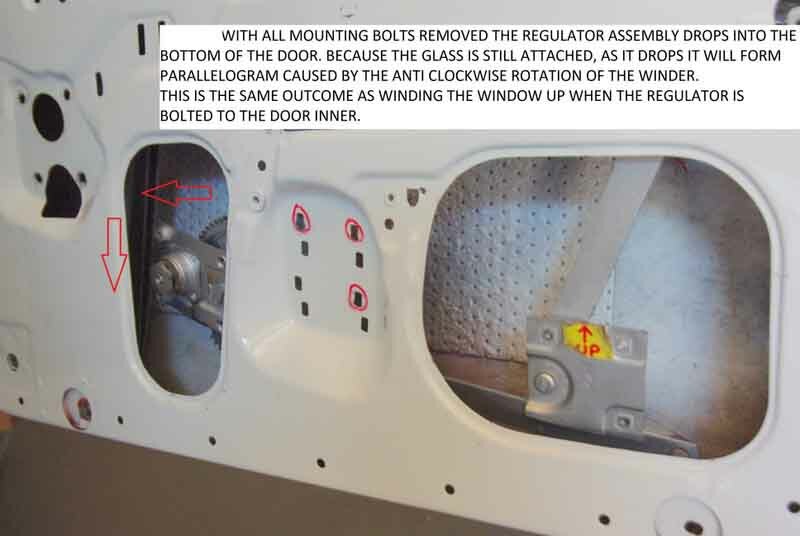 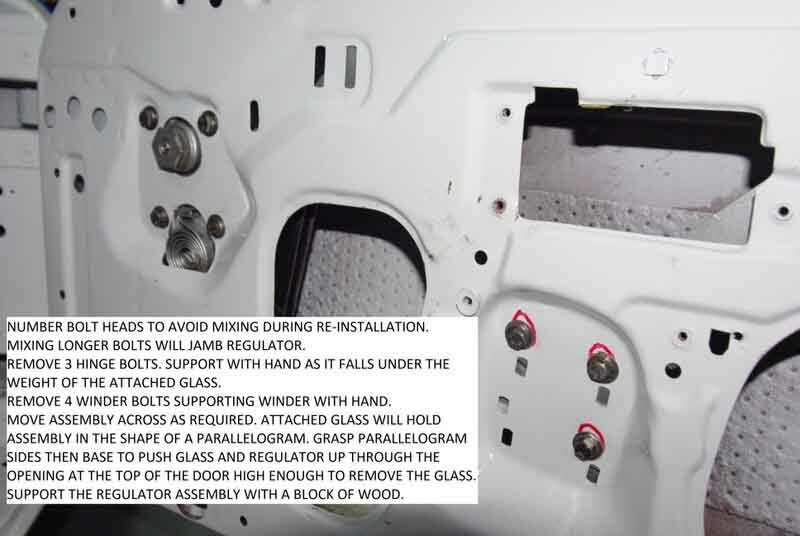 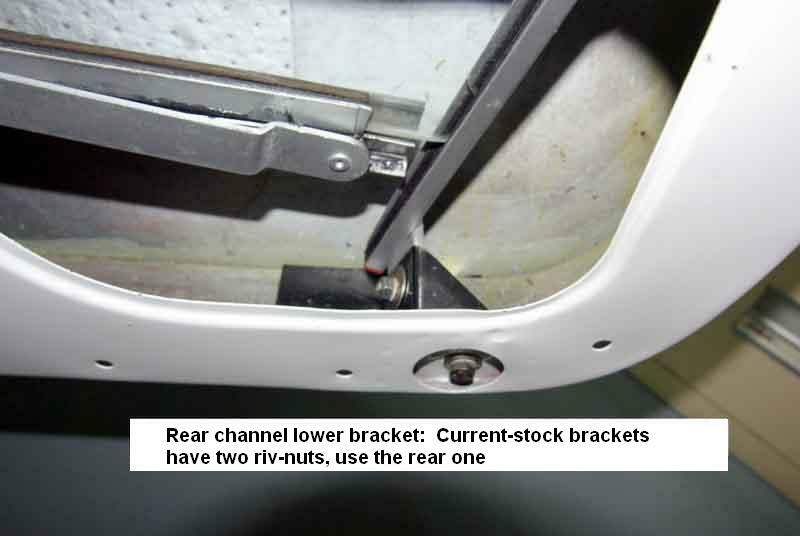 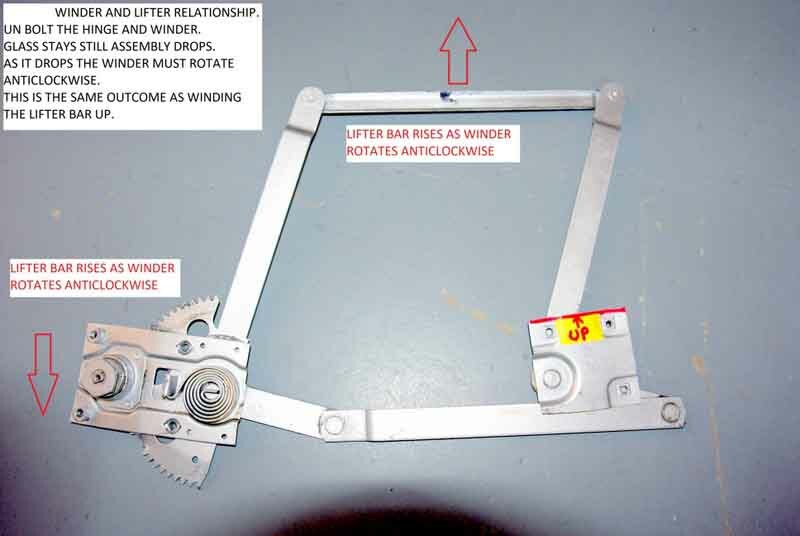 This video and the next three pictures show how the regulator can be manipulated by pulling and pushing, to expand and collapse it when it is not bolted to the door skin, instead of turning the crank. 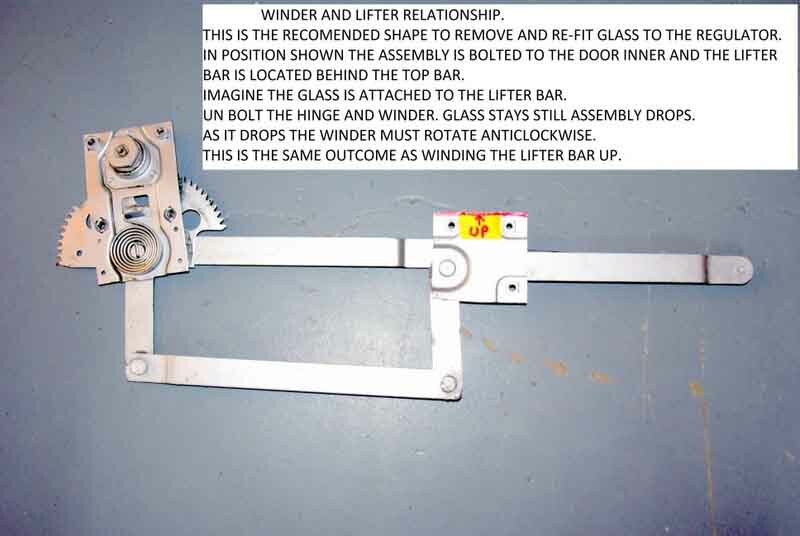 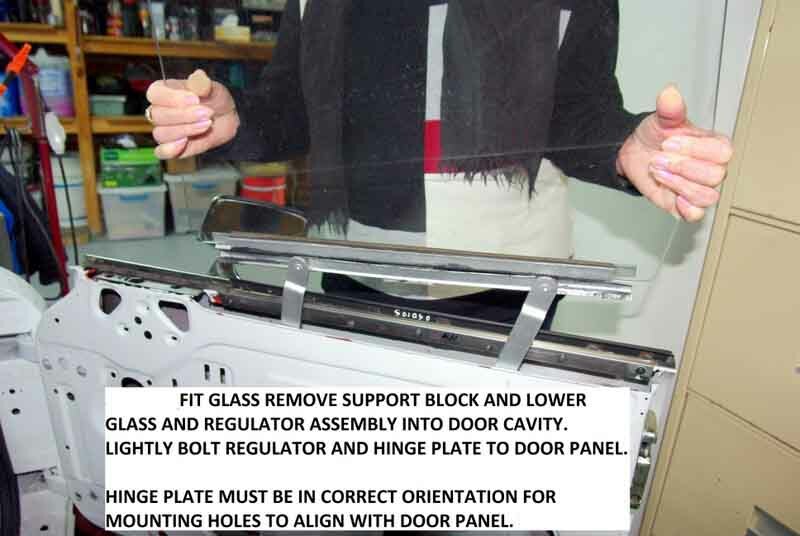 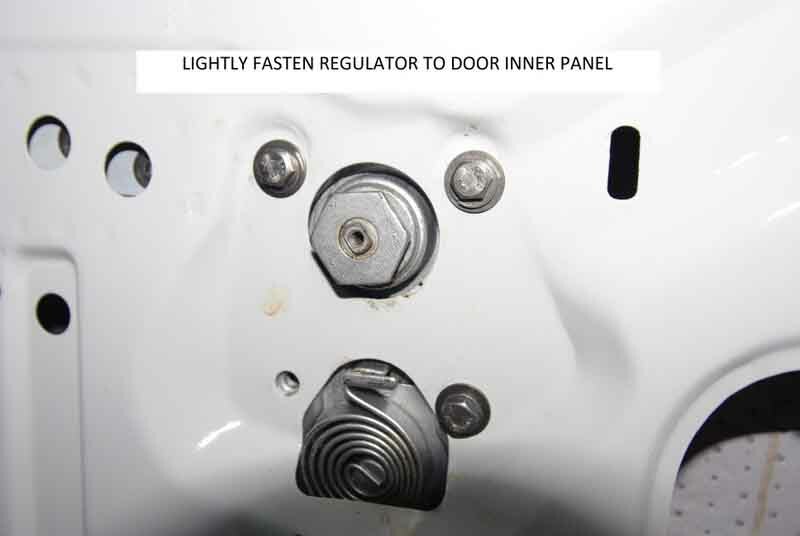 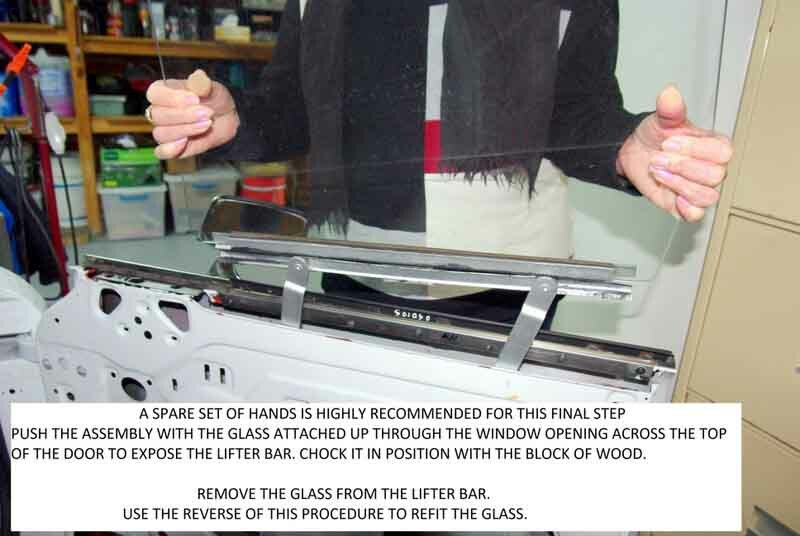 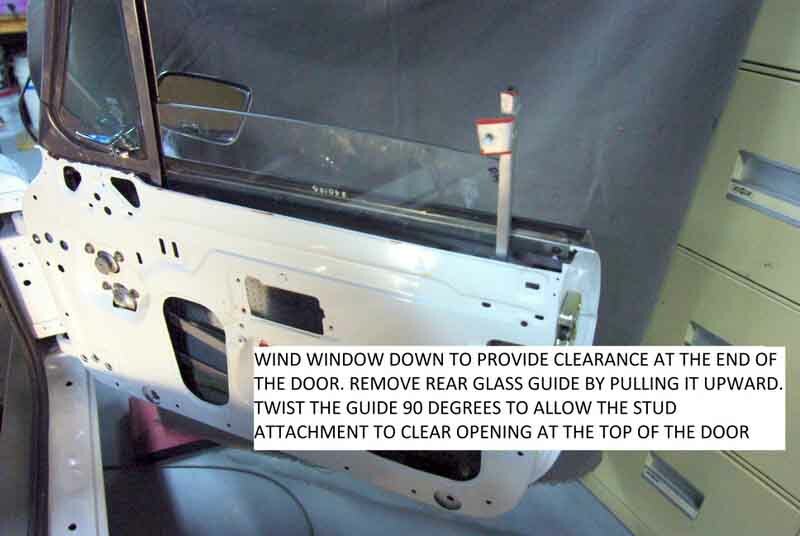 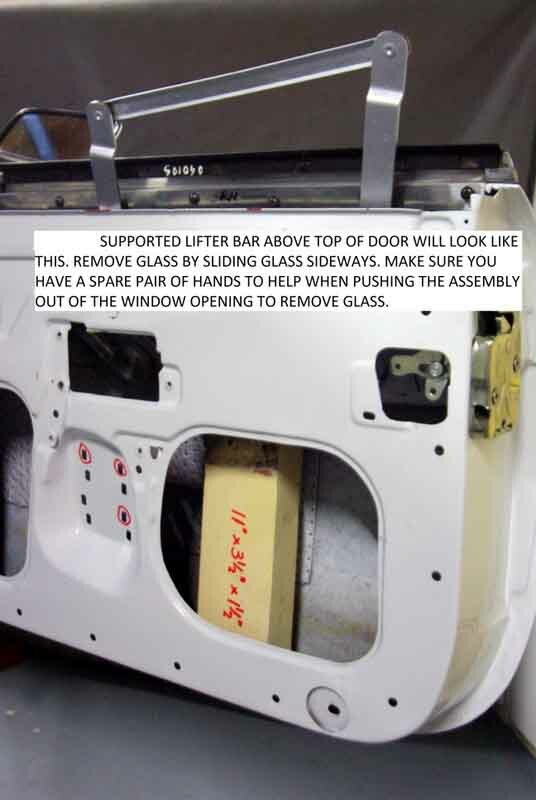 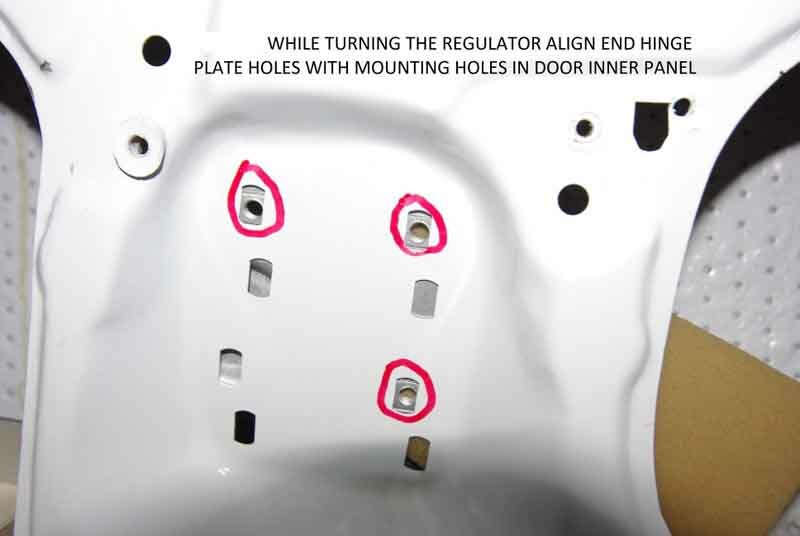 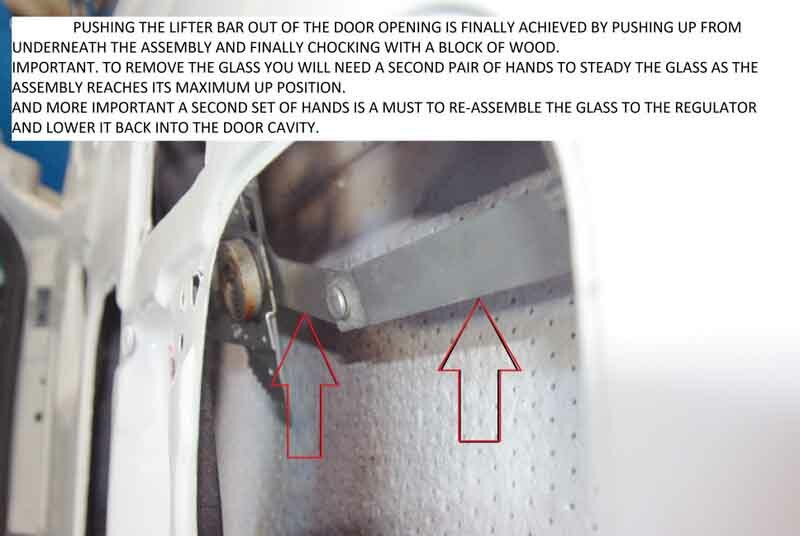 Expand the regulator to this position in order to get the glass and lifter bar completely out of the top of the door. 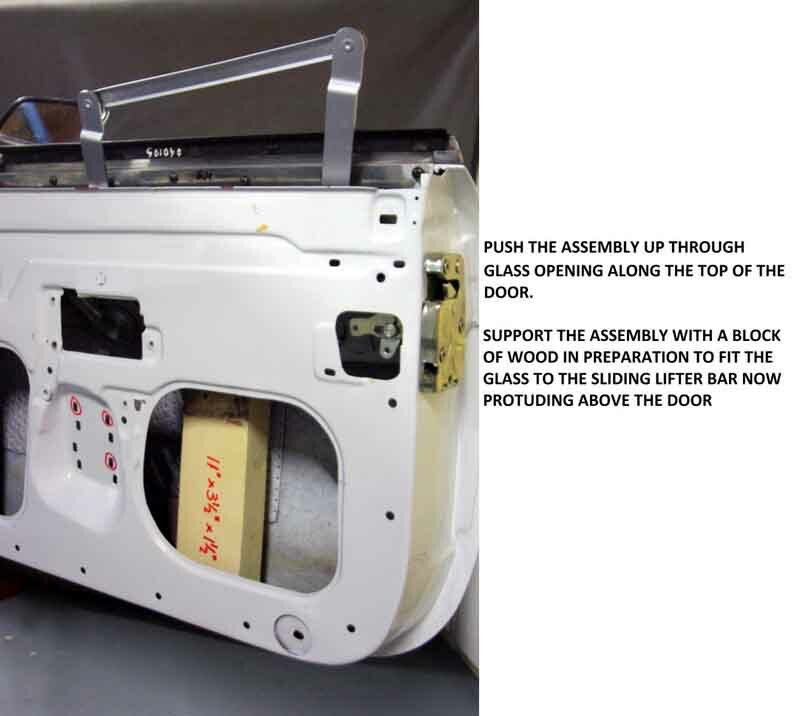 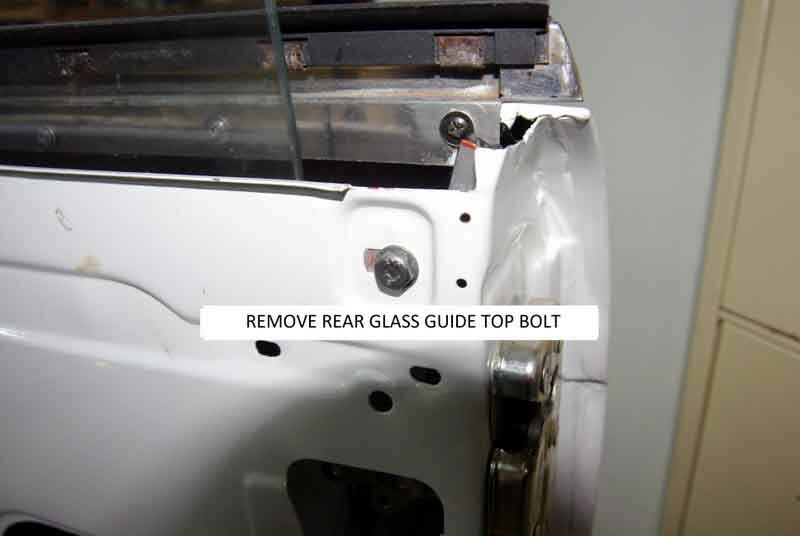 This shows the vent/quarter-light assembly removed, but the drop-glass can be removed and refitted with it still in position. 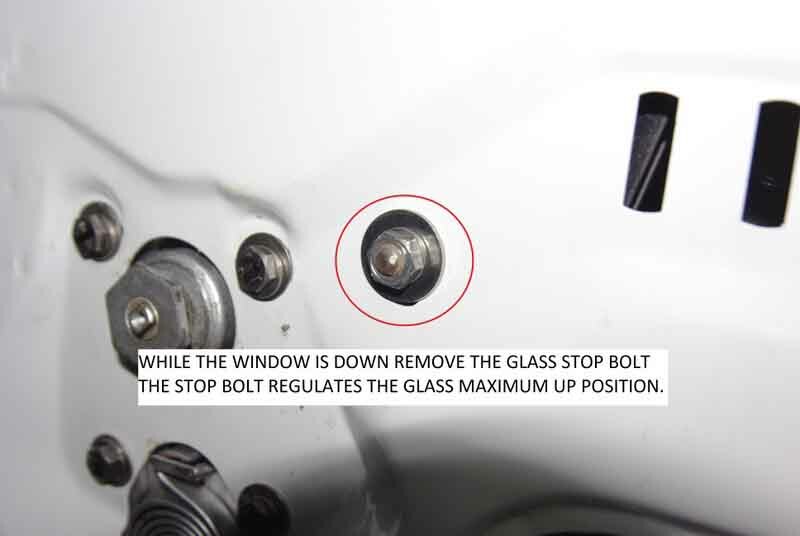 To fit the external weatherstrip the drop-glass has to be removed. 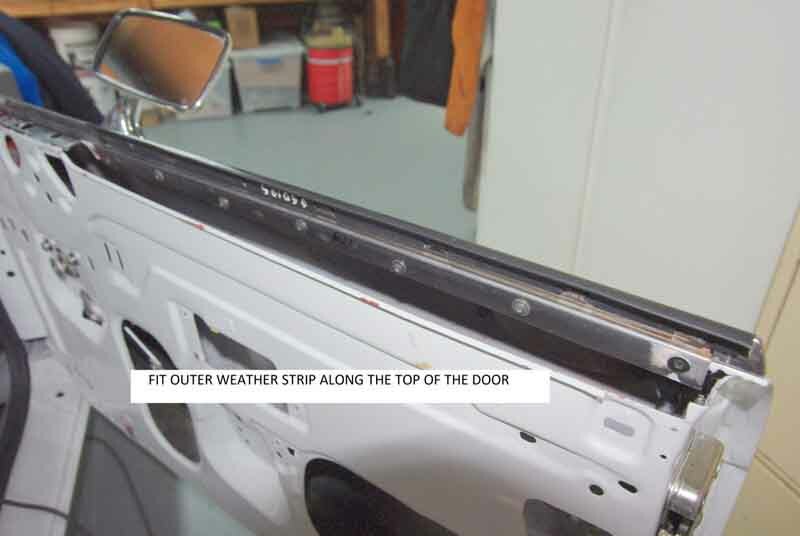 On the GT to remove the weatherstrip together with the bright trim strip the vent/quarter-light has to be removed as well. 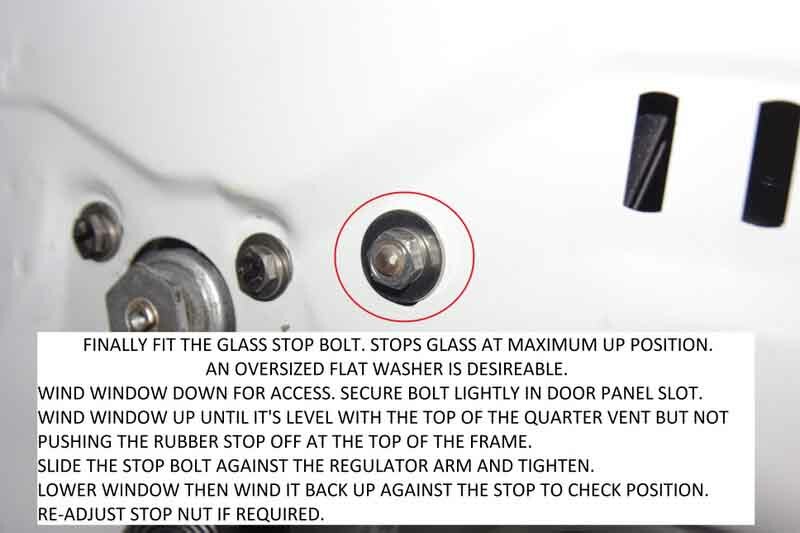 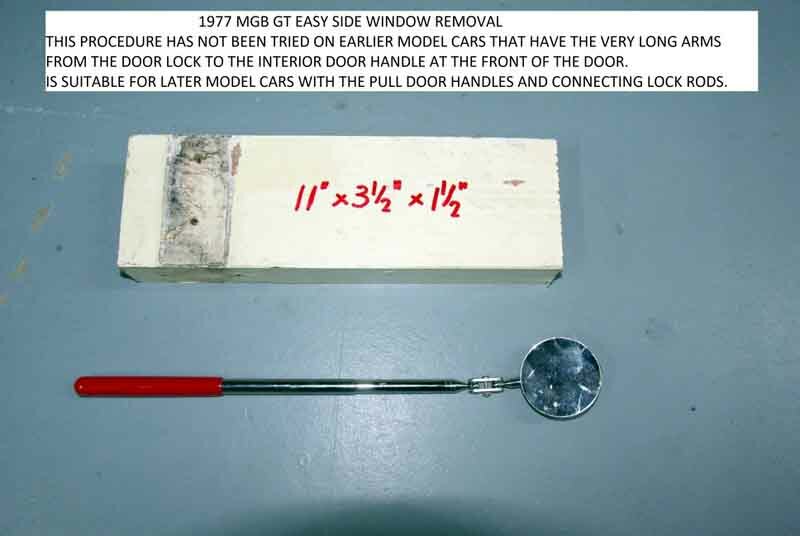 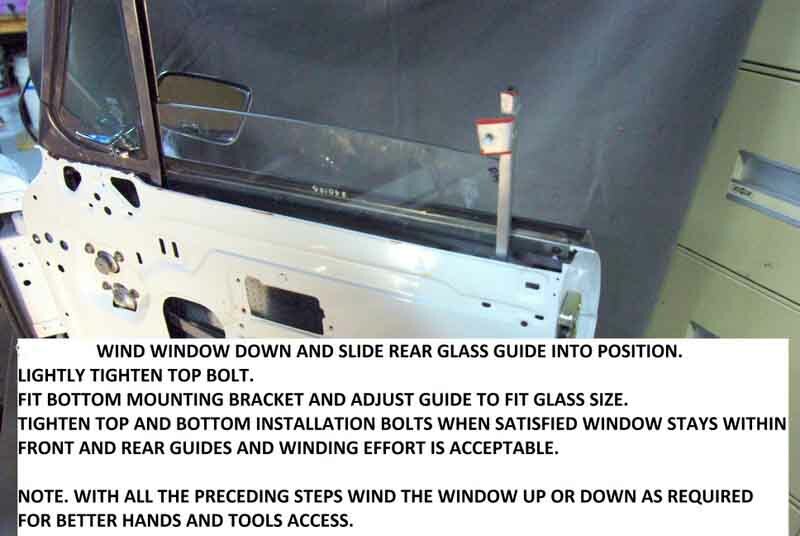 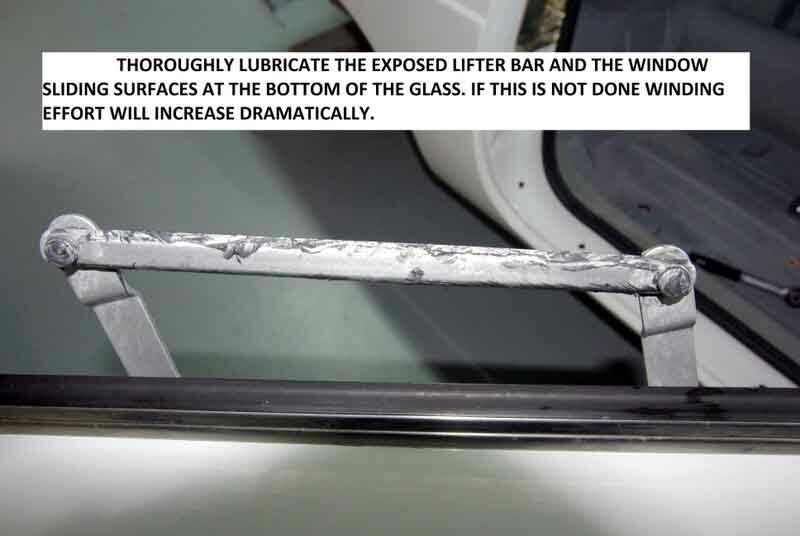 But if replacing just the weatherstrip only the drop-glass needs to be removed (I understand but haven't tried it).